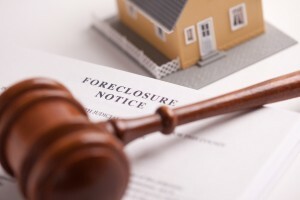 Are you a resident of Essex County, New Jersey faced with a bank foreclosure of your home? You have come to the right law firm. LoFaro & Reiser, L.L.P. represents Essex County homeowners in real estate and tax foreclosure cases. With over 20 years experience in both foreclosure and bankruptcy, partner Glenn R. Reiser serves as an effective advocate for homeowners trying to save their homes. There is nothing more stressful than the prospect of losing one’s home in foreclosure. There are limited defenses available in foreclosure cases, with some defenses being considered more important than others. In many instances mistakes committed by the banks’ lawyers may give rise to a valid defense. But homeowners must act diligently. Judges are less sympathetic to litigants who sit on their rights. Thus, it is prudent to assert any defenses to a foreclosure suit at the beginning of the case, not at the end where it may be too late. Over the years our law firm has succeeded in helping individuals save their homes from foreclosure, whether it be vacating a foreclosure judgment, vacating a tax sale judgment, vacating a sheriff’s sale, or curing a mortgage default through Chapter 13 bankruptcy. If you are an individual residing in Essex County in need of foreclosure assistance, contact our Essex County foreclosure lawyers today to discuss your case. One of our experienced New Jersey foreclosure attorneys will respond within 24 – 48 hours. For emergent matters, such as objecting to or vacating a sheriff or tax foreclosure judgment, please call us at (201) 498-0400. Click the photo to read our foreclosure blog posts.